The holiday camping site of Cypsela is located within the Catalonia region of north-eastern Spain. Straddling the Mediterranean along the shores of Costa Brava, this is a wonderful destination for the entire family. 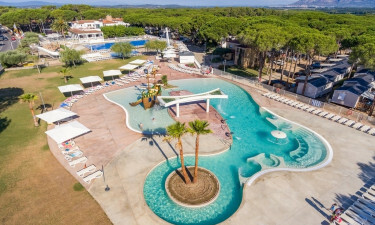 If you are looking to book a holiday within such a wonderful location, please read more about the campsite below, or contact Lux-Camp at your convenience to learn more in regards to what Cypsela has to offer. Splendid views of the Mediterranean waters. An impressive 902 camping pitches. The ability to host a mobile home. Countless outdoor activities to enjoy. This luxury camping site is truly a home away from home. There are a number of amenities to be enjoyed that will make any stay comfortable and pleasurable. Some of these include tumble dryers and washing machines, handicapped-friendly facilities, wireless Internet, power to each individual pitch and waste disposal centres. Although Cypsela is certainly renowned for its beaches and natural beauty, guests are able to partake in a number of fun and exciting activities. Some of these consist of table tennis golf, miniature golf and an indoor swimming pool. All of these are located on the site itself. As the beach is a mere 1.5 kilometres away, other distractions including swimming, sailing and surfing are realistic possibilities. This sense of camping luxury is further enhanced due to the fact that all facilities are equipped to handle those who are arriving with children. Designated play areas are available while entertainment centres will keep the young ones occupied for hours while adults can receive the rest and relaxation that they require. 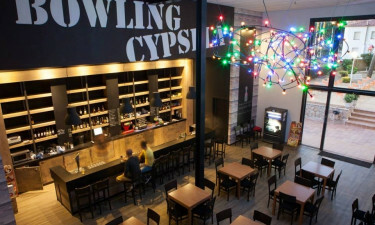 Cypsela boasts on-site restaurants and bars for those who may not want to make the trip to the nearby city of Girona. There are two restaurants to choose from. 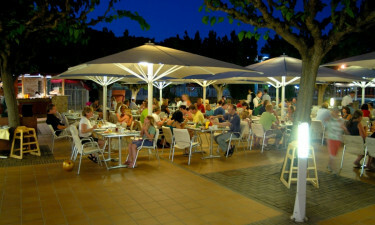 Both Restaurant Cypsela and Restaurant Les Moreres offer local and regional cuisine. Specialties include paella, pan con tomate and chorizo (a Catalan meat). Additionally, a snack bar provides beers, wines and numerous cocktails. For those on the go, there is a takeaway menu available at all three locations. 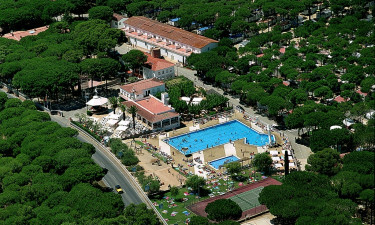 There are a number of commercial facilities located within this luxury camping site. A supermarket and a bakery will be able to supply visitors with fresh fruits, vegetables and other types of produce. A health and beauty spa is likewise found here to help provide comfort and tranquillity. In fact, Cypsela even boasts a library and a boutique outlet for those who wish to purchase gifts during their stay. All are found within close distances to the camping pitches.